We offer a variety of Merchandise for the both the The Epic Review, and The Confirmed Epic Podcast through Tee Public. Our store offers: hoodies, shirts, mugs, stickers, and much more. 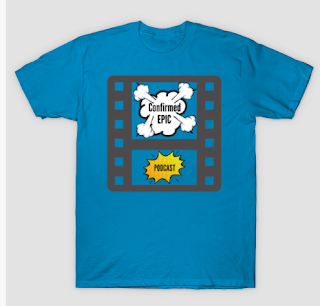 All proceeds go to improving the quality of The Confirmed Epic Podcast, in the form of paying for things such as: podcast hosting fees, and money for movie tickets so we can review them on the show. Thanks for looking, and click HERE to visit our store today!